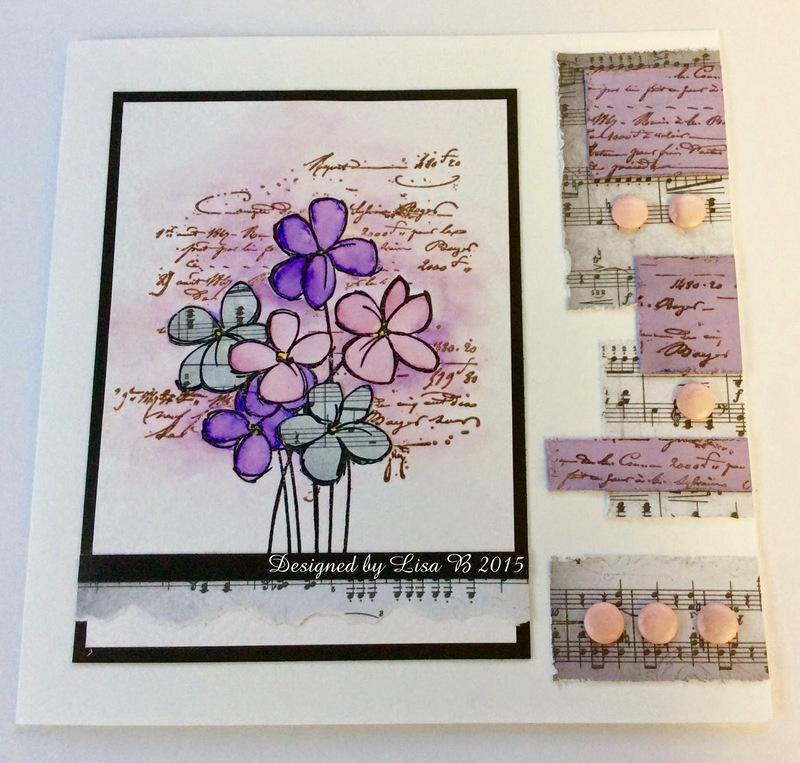 Floral set of Spectrum Aqua pens & the back in stock Blossom Bunch stamp from Stampendous. The second card was made by scribbling the Spectrum Aqua pens onto an acrylic block & spritzing with water, then laying watercolour card on top. That's it from me for today, thanks for looking. 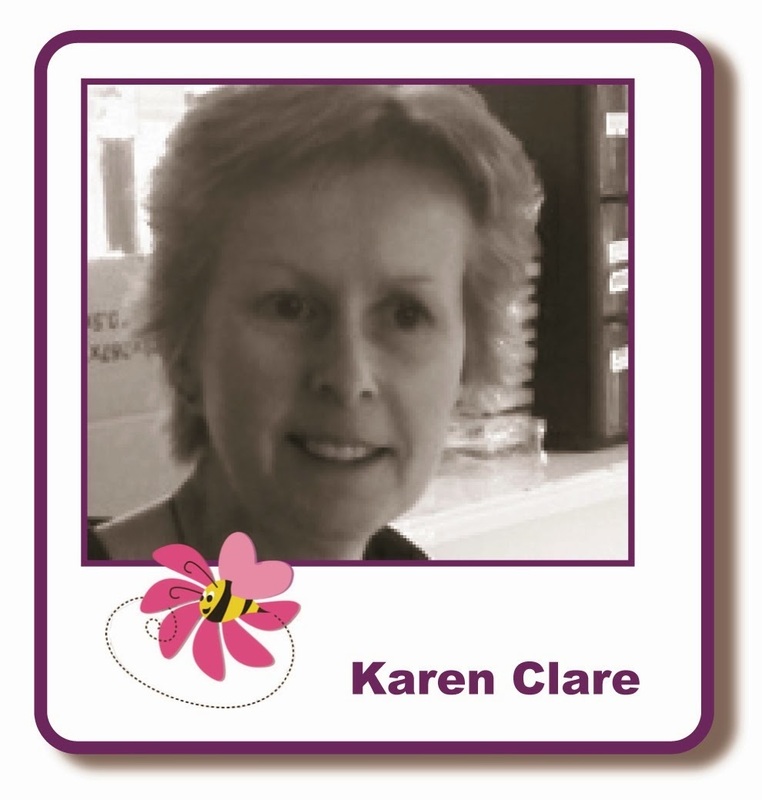 Remember to check out the blog challenge & I am looking forward to seeing many of you at Friday's classes. If anyone else reading this is interested in attending, I think there are a few places left. 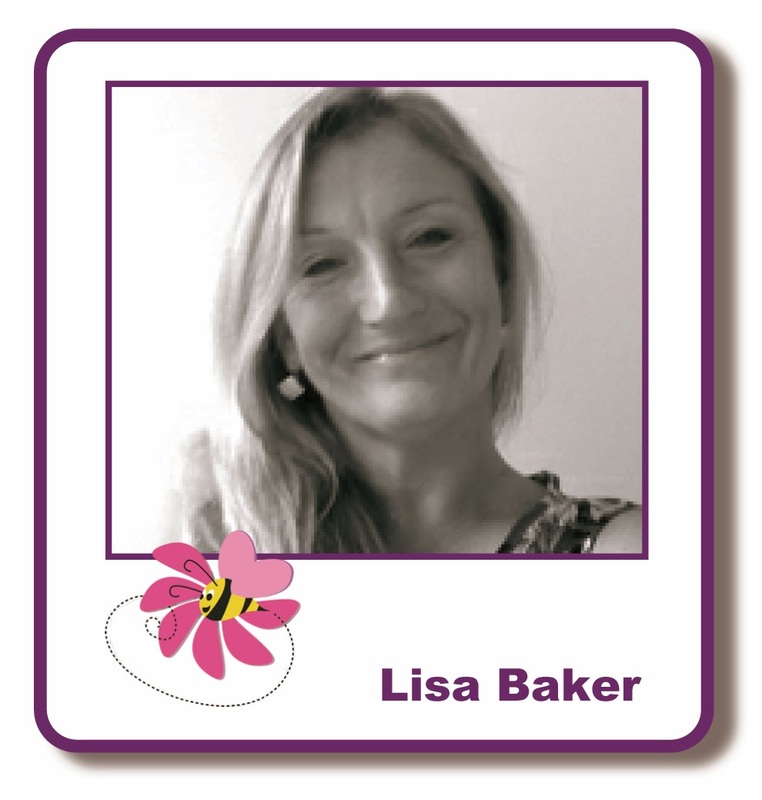 Please contact Lisa at lisabaker1@btinternet.com for information. Well it's nearly the weekend, do you have anything nice planned? I'm going to be chillin out a bit and have a few crafty jobs I want to do. I'm a bit poorly at the moment so trying to pace myself. Must remember the clocks Spring Forward this weekend too. Anyhow today I've used this cute Woodware Clear Stamp, You Make Me Happy. Firstly I stamped with Versafine Black Onyx and embossed with clear EP. This makes watercolouring super easy with the raised areas to paint in. Spectrum Aqua Pens, Floral option, Begonia, Rose Pink and Blossom. so chose this monochrome option. spritzed with water to colour with a fine brush. The less water you add the more vibrant the colours are. Dry with heat tool and cut out the three panels. 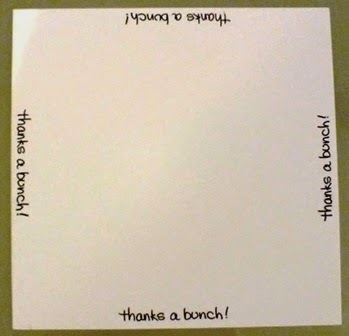 Using a tall card blank I stuck the images down one side. was cut for the other side of the card. 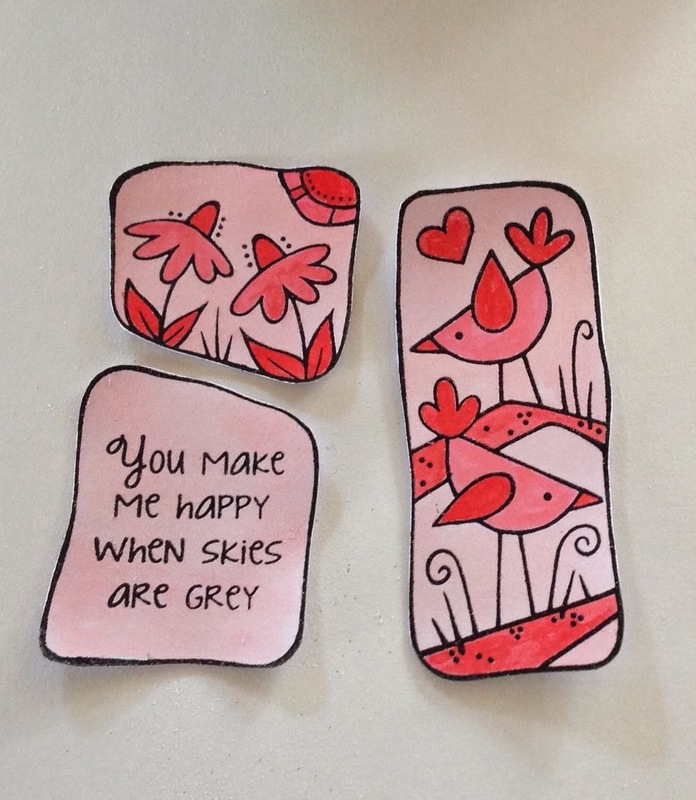 I had a piece of Woodware Pale Pink Ric-Rac 3mm finished this card off nicely. 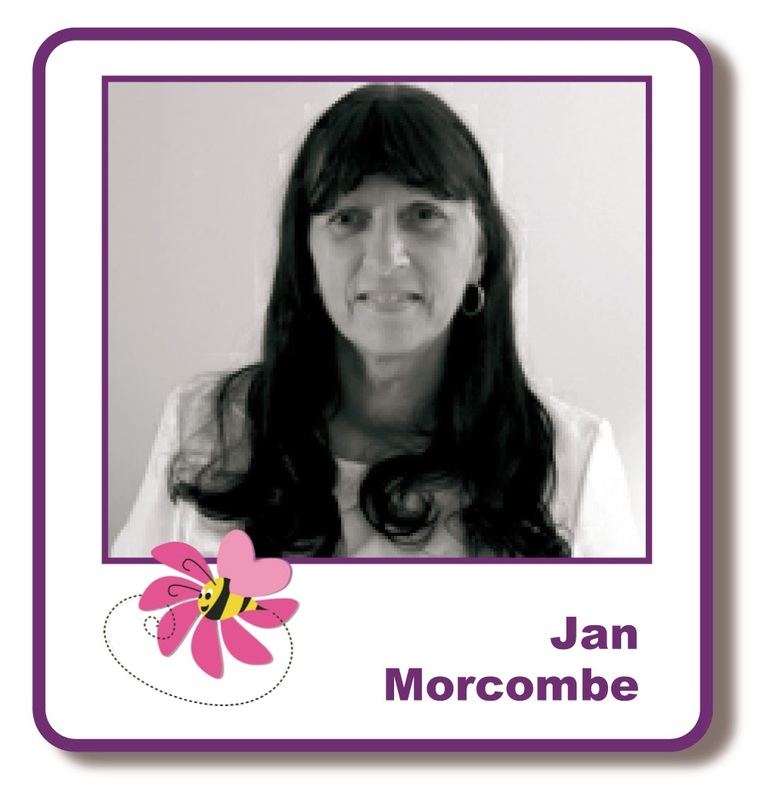 I do hope that you are all keeping well? 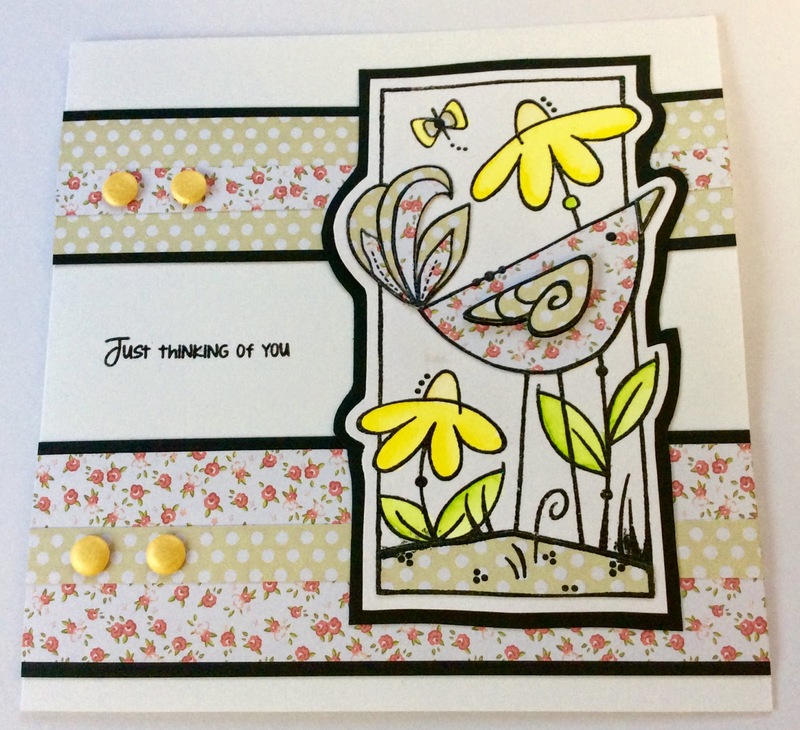 So today I thought that I would show you the second card that the ladies made at last months workshop. I gave them lots of different options for this card and they all made their own take on it which was fabulous. The Aqua Markers have been re-ordered and will be arrive in about 3-4 weeks as they are on back order, so I will let you know as soon as they come in. 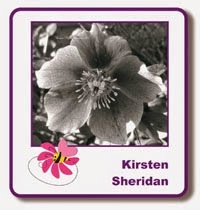 Blossom Bunch stamp from Stampendous. Woodware Clear Magic stamp, Special Bird. Thanks for visiting the blog today. Don't forget the theme of the current blog challenge is 'Spring Watercolours', all the details are on the challenge page. Have a great week, see you next time. 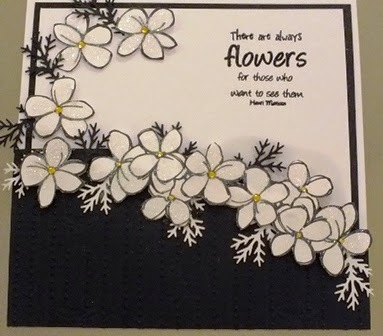 I started with a white 7 x 7 card and used the Thanks a Bunch stamp from the Stampendous Daisy Thanks set to stamp around the edge using Versafine Black Onyx. Then matted some of the new Pastel Paper Bloc onto some black card from my stash and glued it into place. 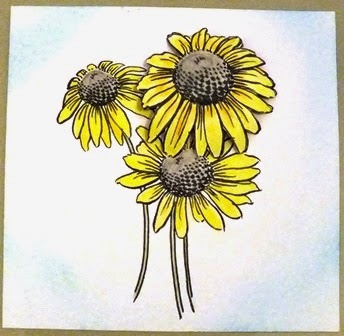 I stamped the Daisy image onto some Watercolour Card, twice so to create dimension. 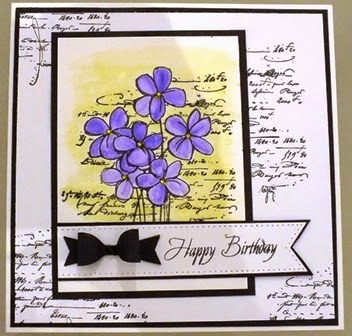 Before colouring in the image I inked around the card with Tumbled Glass Tim Holtz Distress Ink, just to take away the starkness of the white really. 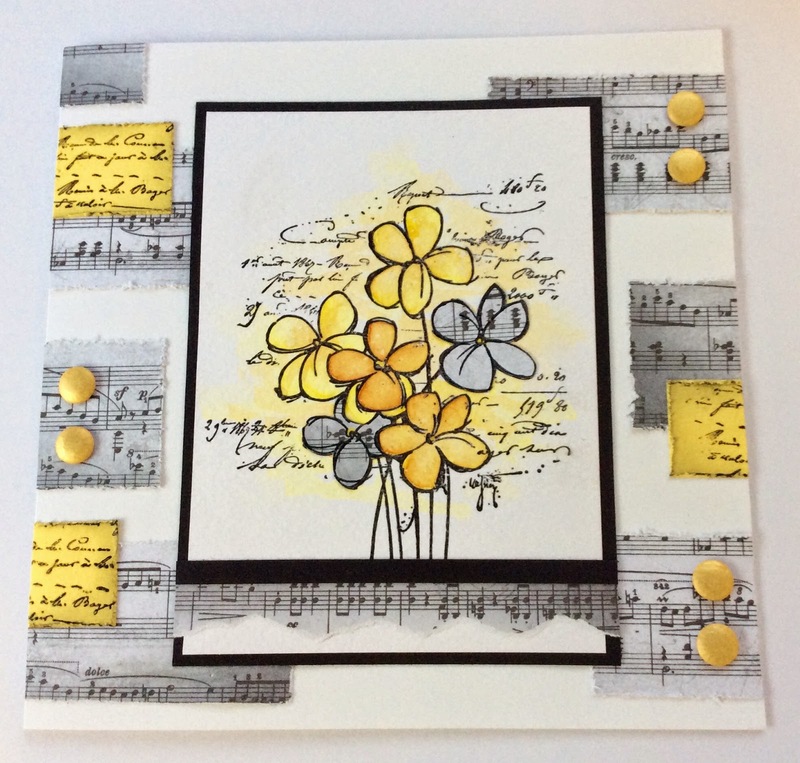 This time I wanted to move away from the traditional white Daisy so went for a nice yellow from the Aqua pens, then coloured in the centres with a very watered down black. 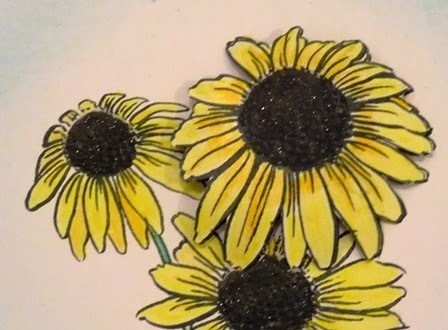 I then coloured in the largest flower from the second image only and cut it out to decoupage onto the original, then coloured all the centres in with black Wink of Stella. 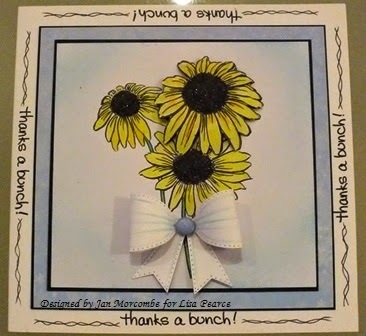 I expect you've gathered by now that I love the little bows created from the Sue Wilson Finished Touches Range of Bows, leaving them in the die I dabbed a little of the blue ink over them. 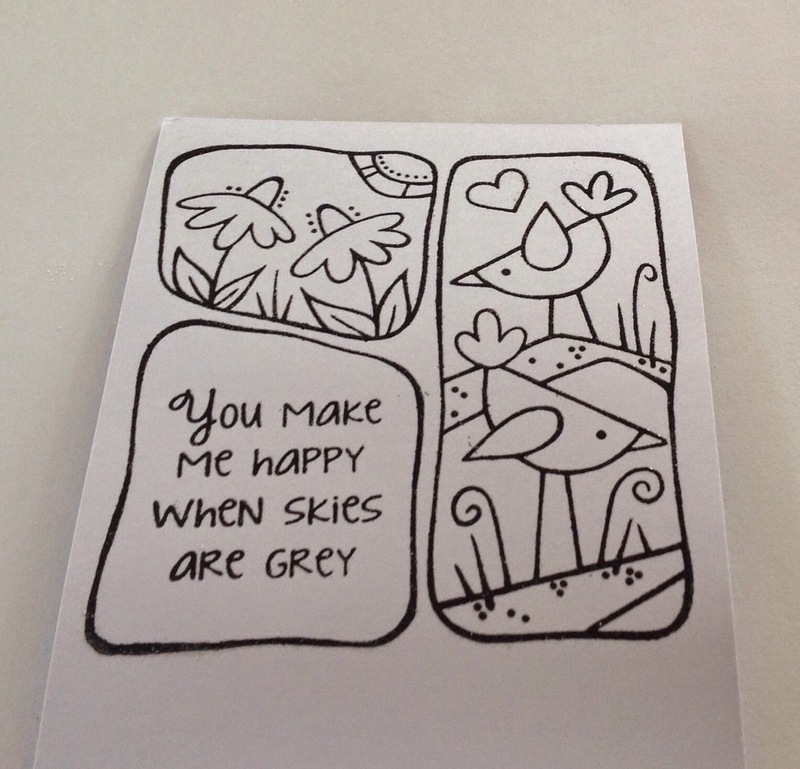 I then matted this onto another piece of black card before mounting the whole thing onto my card.